Our clients often ask if they should post to Facebook, Twitter, LinkedIn or on their website blog. The short answer is yes. The best way to get your updates or useful information out to as many clients and potential clients as possible is to publish the content as a blog post on your website, then to post the blog post onto your socials media channels. Incorporating your blog with social media drives clicks, improves rankings, and enriches your potential clients with useful information. Drive Clicks– People are not going to click on your website if they don’t see it while online. 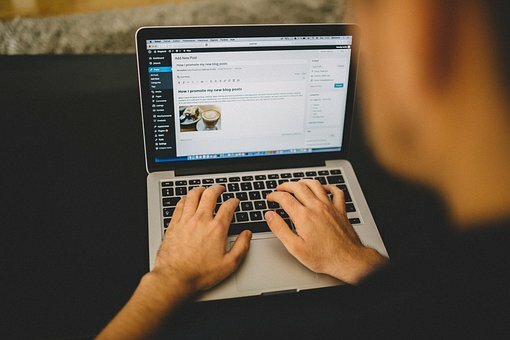 Putting your post on social media reminds users who follow you that you are there if you need them (potentially bringing them back to your page) and also increases the likelihood that they will share your post with friends or family who may find the information relevant (and ultimately visit your site). Improves Rankings– Any search engine optimization specialist will tell you about the correlation between regular blog posting and improved search engine optimization. The information in your blog posts is typically based on the goods and services offered by your company. Inadvertently, the content will contain keyword-rich information that can improve where your website ranks in search engines. Provide Useful Information to your Clients– No matter what your business, the ultimate goal is to connect customers and potential customers with your goods or services. People value useful information and are much more likely to find a connection with your business if you are offering them information that is helpful to them or enriches their life in any way. If you need help incorporating a blog into your existing web design or managing your blog and social media channels, contact us today for a free consultation to discuss how we can best help your company meet its full potential in the Raleigh area.